'Physical evidence' Assad behind attack Jump to media player US Secretary of State John Kerry has told the Senate Foreign Relations Committee he had "physical evidence" that Bashar al-Assad's regime was behind the Syrian chemical attack on 21 August. 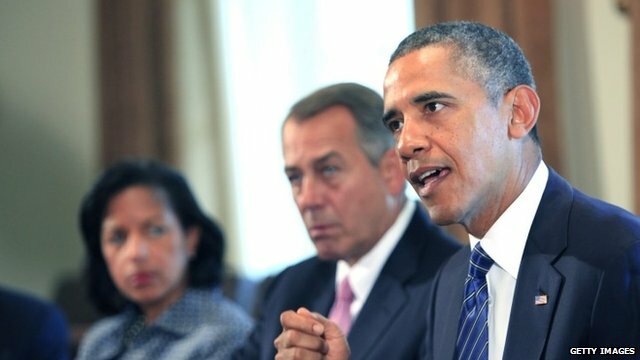 Obama wins key backing on Syria plan Jump to media player President Barack Obama wins backing from key US political figures for a military strike on Syria, in response to a chemical attack. 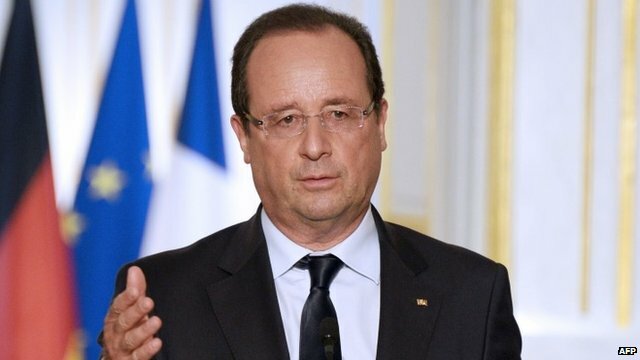 France 'taking all necessary steps' Jump to media player French president Francois Hollande has repeated his support for action against the Assad regime saying "all necessary measures" were being taken. 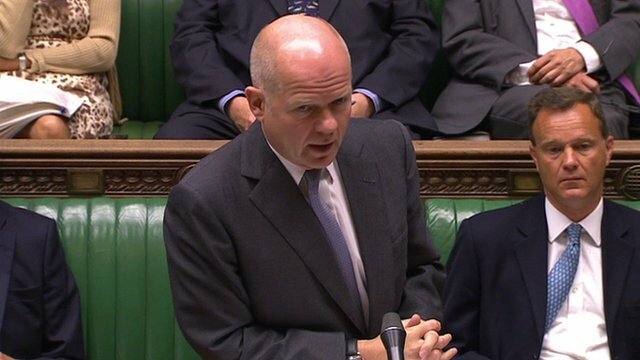 Hague: Take Obama 'at his word' Jump to media player The UK will continue to push for a "strong international response to the use of chemical weapons in Syria", William Hague has told MPs. He said MPs should take Mr Obama "at his word" on the issue. 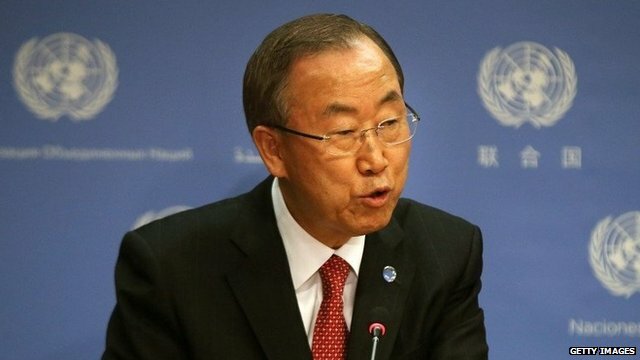 'We must put an end to atrocities' Jump to media player The United Nations Secretary General Ban Ki-moon has said that if it is proved that chemical weapons were used in Syria, the UN Security Council must unite and take action. 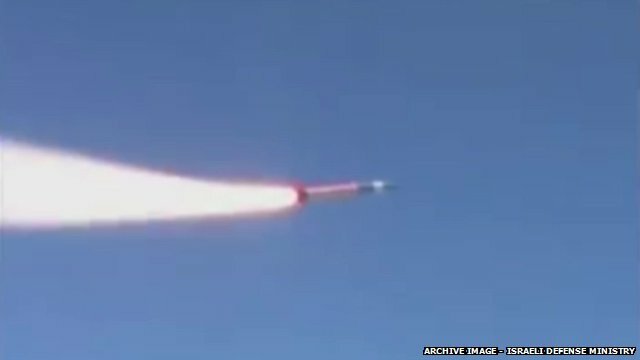 Israel and US in joint missile test Jump to media player Israel has carried out a joint missile test with the US in the Mediterranean, amid heightened tension over possible Western military strikes on Syria. 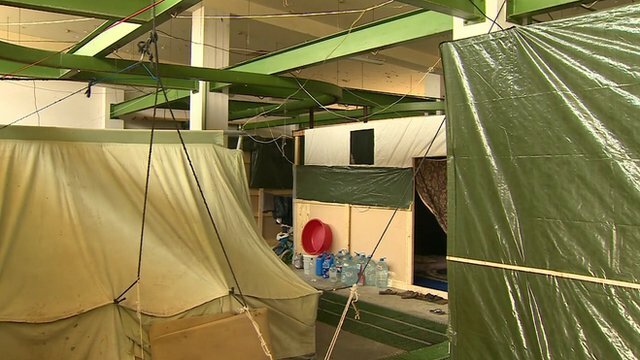 Syrian refugees shelter in abattoir Jump to media player The BBC's Quentin Sommerville visits a former slaughterhouse in Lebanon which has become a refuge for families escaping the conflict in Syria. Mr Obama said a "limited" strike was needed to degrade President Bashar al-Assad's capabilities in response to an alleged chemical weapons attack. US Secretary of State John Kerry has told the Senate Foreign Relations Committee that there is proof "beyond any reasonable doubt" that the Assad regime prepared for the chemical attack on 21 August. He said there was "physical evidence" that the Assad regime had launched missiles and warned its own forces to use gas masks.